Going viral continues to be the Holy Grail for marketers. They want their content to spread across the web like wildfire, generating traffic and links while establishing their brand as the best in the business. While this isn’t a far-fetched dream, it’s a challenge for content creators who feel pressured to turn every piece of content into a hit. 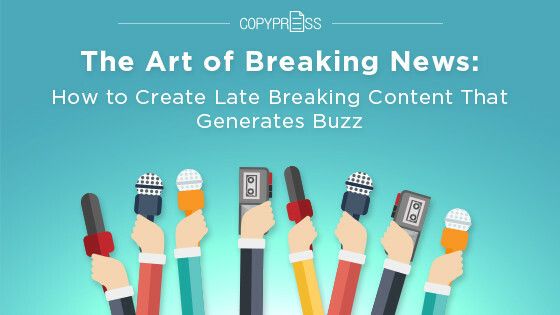 One way that content marketers can increase their traffic is with breaking news. Jumping on the news as it’s reported and providing clear insight can help your blog or website get noticed. However, in a world of constantly-breaking news, it’s hard to keep up. Not all content teams have the bandwidth or ability to cover breaking news. In a world full of fake news, accuracy is everything. Reporters and bloggers alike are leaning the importance of checking the facts and making sure every sentence in their content is accurate. Oftentimes, news outlets are so desperate to break the news first that they miss facts or jump to conclusions. In the wake of natural disasters, terrorist attacks, and political earthquakes, news experts and consumers alike are calling for accuracy. Readers want their sources to be correct so they don’t have to fact-check everything they read. While your brand probably isn’t offering the latest insight into Syria or reporting live on the scene of emergencies, the concept of “accuracy over immediacy,” should apply to you. Don’t be so eager to publish something that you publish anything you hear without checking it. For example, was recent legislation proposed that could affect your industry? Read it yourself along with impact analyses before you jump to conclusions. Your audiences will appreciate you and you will develop a strong reputation in your field. Many blogs and websites want to report breaking news, but end up rehashing what everyone else has to say. Instead of presenting something new and fresh, they report on others, link to them, and pass off any viral traffic because they are the original source. While you don’t have to be the first website to break news, you should work to offer something new and unique to others. This also follows the “accurate over immediate,” rule. For example, if there is a proposed legislative change that will affect your industry, you could reach out to lawmakers to discuss it. If you really wanted to provide value to your readers, you could reach out to one or two lawmakers that support the change and one or two that oppose it. If you’re not first, then you can be the best. Once the dust clears and industry shock subsides over the news, your brand can stand out by providing valuable information that helps readers understand what’s really going on. This provides much more value than simply rehashing other sources and hoping your brand will stand out. If you can’t break news immediately, and you can’t get first-person context and information, then you can provide an in-depth look at the news. Admittedly, this will likely take a long time. You won’t be able to immediately churn out a 500-word report overnight if you want to create something that is truly valuable. However, this content will likely have more staying power than short-form news articles. A topical and poignant example of an in-depth resource is the Mass Shooting Tracker created by an independent Reddit volunteer group. It defines mass shootings and records them as they occur in the United States. Each mass shooting has information, including links to news reports. Readers can download the data and use it for their own reporting. In this case, the website has become a resource. While it is certainly an emotional statement about gun violence in America, it is an important tool that people link to when discussing events. If you can turn your website content into a resource surrounding a news topic, then reporters and readers will turn to you when they need help. If you can’t break news in your industry — and we admit, not every company or field is full of earth-shattering news that changes weekly — consider following mainstream news sources to look for opportunities to position your brand as a thought leader. A marketing brand exploring how Johnny Walker is rolling out Jane Walker without insulting women. A security provider commenting on major hacking news stories with ways brands can prevent it. A private security firm discussing training protocol when working private events or protecting public figures. A doctor providing insight into local reports of the flu and allergy season. It makes sense for all of these companies to use the news to provide expert commentary. Eventually, news outlets might turn to these brands when related topics arise, making them the go-to for breaking news. Along with creating content, people often worry how they can find the time and space for breaking news. They can’t exactly drop everything on their plate to cover content. While this is true, marketers can take steps to create space for breaking news and anticipate changes. Start by setting aside time in your calendar to cover breaking news. You only need a few hours per week to do it. If news breaks on a Tuesday, switch it with your “breaking news appointment,” on your calendar so you can focus on creating content without missing your other deadlines. If there isn’t major coverage that week, you can use that time to catch up on work or create in-depth articles. 500-word breaking news piece: 2-3 hours between writing and fact-checking. 700-word breaking news with first-person sources: 4-8 hours depending on the responsiveness of interviewees and availability of data. 700-word newsjacking piece: 4-5 hours with brand boilerplate content. 2,000-word in-depth analysis: five days to a week for research, outline, and review. When news breaks, you can decide what type of content is best for the situation and assign people to write about it. You may decide to get a short-form piece out immediately, but then set aside resources for a long-form piece that week. Every editorial team operates differently, and some pieces take longer than others. Knowing how your writers operate can help you decide whether tackling breaking news is right for your brand. Once you start creating content, you can work to promote it and increase traffic organically in search results. 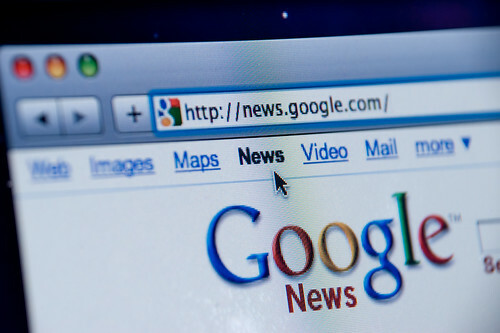 One popular option that brands work towards is getting their website listed on Google News. Google News content generates 100 times more traffic than regular organic content. The traffic comes fast and only lasts a short time. However, if you have followed the steps laid out in this article, your news content can generate links and rank well long after the results pass. Include biography pages and have multiple authors covering different topics. Increasing the frequency of your articles to 2-3 per day. Structure content for news, with a professional layout and news theme. Create unique URLs and a mobile-friendly design. These steps require support from your IT department, and they may not be right for your brand. You may decide to stay off of Google News so your brand isn’t overwhelmed and try to generate traffic through social media and RSS feeds instead. However, knowing that Google News is an optional target for your brand can help you set goals as you increase your topical content production. There are two ways CopyPress can help your brand create news content. First, we can work to create news content for you. Within a few days, we can draft in-depth articles related to news subjects, positioning you as an industry leader on your blog. Alternatively, we can take over your evergreen content creation so your team can focus on topical content. We know that you have limited staff and resources, so our team can help generate think pieces and whitepapers, while your in-house team focuses on breaking news. Either way, consider making CopyPress a partner in your content creation strategy. We can work to create and promote your pieces to maximize traffic and grow your links and leads.